Commercial janitorial equipment provides extraordinary cleaning and maintenance performance. It is a level of performance that cannot be provided by consumer-type products found at most big box retailers. We assure the performance you depend on is not compromised. 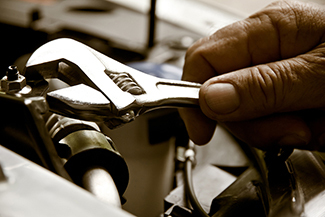 We provide expert repair and warranty service to keep your equipment in "like new" condition. SourceOne's services and repairs many different manufacturers ... whether you purchased from us or not. Ask about our free pick-up and delivery of equipment needing diagnostics and repair. We specialize in the repair of these commercial floor equipment brands, but can repair just about any brand. Need warranty service? Trust our experienced, certified technicians to keep your equipment in top operating condition.